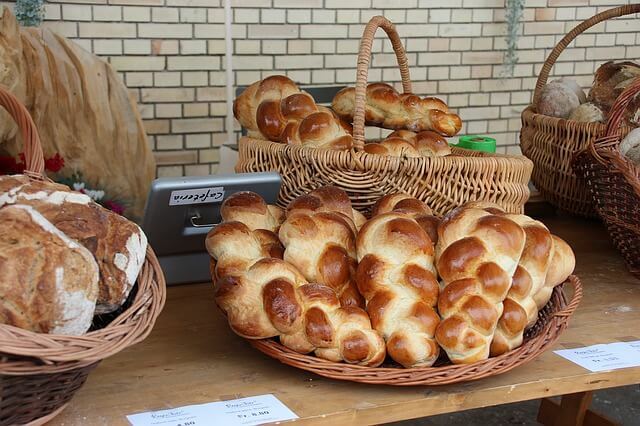 Challah rolls are the perfect comfort food for many families, being a traditional part of the Jewish Sabbath. This recipe takes the normal braided challah and turns it into a pull-apart variety, making it a bit easier to serve and get it ready for the family. The secret is all in the prep. Instead of doing the larger braided loaf, you make small individual braids that slide into the pan giving you that easy pull apart that’s ready to go. Warmth is the key to getting a good rise on challah dough, so start with water that’s the right temperature, and find a warm place in the house for the dough to rise. Leftovers can be stored in an airtight container at room temperature for up to 3 days. If the rope shrinks a lot as you try to roll it, let it rest for 5 minutes to relax the gluten and then try again.